The Government is at pains to highlight that the Serious and Organised Crime Bill is not aimed solely at so called outlaw motorcycle gangs, but all serious criminal activity and organised crime. In particular the new legislation is said to include all forms of organised crime including child exploitation, drug trafficking and financial crimes. New powers for police to investigate child exploitation and financial crimes. Reduce the mandatory imprisonment period. The new consorting offence is to be substantially based on the New South Wales Legislation. It is the be an offence under the Queensland Criminal Code. It will be an offence for a person to consort with two convicted offenders on two or more occasions. A convicted offender must be a person convicted of an offence that is punishable by at least a maximum penalty of five years imprisonment or another prescribed offence associated with organised crime. A person can not be convicted of the new consorting offence, before they have received an official written warning from a police officer. The offence does not apply to a person under the age of 18 years. There is a defence to the charge that allows for participation in Civic Life. It will be an indictable offence under the Queensland Criminal Code. The order will enable a premises to be declared by the Magistrates Court to be restricted if a police officer has a reasonable suspicion that certain unlawful or disorderly conduct is occurring there. The declaration will enable police to enter and search the premises without warrant at any time. The declaration will enable the police to seize property including furniture, entertainment systems, pool tables, stripper poles and the like. The Commissioner of Police may forfeit any property that is lawfully seized to the State. The OMCG clubhouses that were closed under the 2013 VLAD laws will be automatically declared to be restricted premises that are unable to reopen. The Order will enable a commissioned police officer or the Magistrates Court to order that a person, or group of persons is prohibited from entering or attending an event or place if their presence is a serious risk to public safety. Magistrates are able to make an Order for more than seven (7) days. The Order enables the Police to apply to the Magistrates Court to seek an order directing the removal or modification of fortifications that are excessive for the lawful use of a property. If the Order is not complied with, police can enter the property and use any force or equipment necessary to remove or modify the fortifications. Police are able to issue stop and desist notices if they observe excessive fortifications being built on a property. Police have 14 days from the issuing of the cease and desist notice to make an application to the court for a fortification removal order. The new Prohibited Items Offence is to be inserted into the Summary Offences Act. The offence criminalises the wearing or carrying of prohibited items in a way that they can be seen in any public place. The definition makes it clear that a public place includes in or on a vehicle in a public place. The offence effectively extends the prohibition on wearing these items that already exists in relation to licence venues. The new legislation carries a uniform definition of Criminal Organisation and Participant in all legislation. Participant is set to be defined as an individual who is actively involved in a criminal organisation or who identify and promote themselves as being involved in a criminal organisation. Those convicted of the circumstance of aggravation will continue to face mandatory sentences that can only be mitigated reduced upon co-operation with the authorities. The fixed mandatory component of the sentence is limited to seven (7) years imprisonment or the equivalent of the maximum penalty for the offencem whichever is lesser. The mandatory component is to be wholly served in a correctional facility without any eligibility for parole. Jailed bikies treated the same as everyone els. 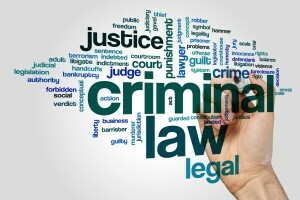 Upon conviction the Court will also be required to make an Organised Crime Control Order. The Organised Crime Control Order will be a mandatory consequence of conviction of the new serious organised crime circumstance of aggravation. The orders will be limited to two (2) years in duration. restrict who they may have contact with. When sentencing a person for an indictable offence, if the court is satisfied on the balance of probabilities that the offender was a participant in a criminal organisation at the time. When sentencing a person for the consorting offence the court may make a limited control order which can only include place restrictions and conditions that prohibit who the person may have contact with. When sentencing a person for a contravention of a control order the court may extend the length or conditions of the existing control order. The Bill provides for transitional arrangements for any individuals that have pleaded guilty and who have been sentenced under the old VLAD Act. The maximum penalty of 25 years is to apply to all drugs, regardless of whether the drug is heroin, steroids or cannabis. The current mandatory minimum 80 per cent non parole period, which applies to trafficking, will be removed and the offence will be restored to the Serious Violent Offence regime under the Penalties and Sentences Act. New circumstance of aggravation for the offence of fraud carrying a maximum penalty of 20 years imprisonment, where the property or yield to the offender of the fraud is $100,000.00 or more. New circumstance of aggravation for the offence of fraud carrying a maximum penalty of 20 years imprisonment, where the offender participates in carrying on the business of committing fraud. Increase in the maximum penalties for the offence of obtaining or dealing with identification information from three (3) to five (5) years. Creates three (3) new offences in the Criminal Code that target administrators of websites connected with child exploitation material. knowingly administer websites used to distribute child exploitation material. distribute information about how to avoid detection of, or prosecution for, an offence involving child exploitation material. Each new offence will carry a maximum penalty of 14 years imprisonment. increase the maximum penalties for the offence of involving a child in making child exploitation material from 14 to 20 years imprisonment. increase the maximum penalties for the offence of making child exploitation material from 14 to 20 years imprisonment. Former Supreme Court Judge, Alan Wilson will head the review of VLAD laws as part an extensive review of organised crime, Attorney-General Yvette D’Ath announced today. The Qld bikie laws were rushed into parliament following the infamous “Broadbeach Brawl”. At the time there was considerable criticism that the laws were over-reaching and had not been subject to the usual scrutiny. This review is expected to recommend changes to a number of key elements of the legislation. Justice Wilson, who retired in March 2015, has enjoyed a distinguished career over more than three decades, Justice Wilson was admitted as a barrister in 1982 and was appointed to the District Court bench in 1998, before rising to the Supreme Court in 2009. He also became the inaugural head of the Queensland Civil and Administrative Tribunal at that time. The taskforce looking into the VLAD laws will include high-ranking representatives from the Queensland Law Society, the Bar Association of Queensland, the Public Interest Monitor, the Queensland Police Service, the Queensland Police Union, the Queensland Police Commissioned Officers’ Union of Employees, and senior public servants. The VLAD enquiry will work in tandem with the Government’s Commission of Inquiry, headed by respected criminal barrister Michael Byrne QC, as part of a multi-faceted assault on organised crime. The VLAD taskforce will report back to the government by the end this year, incorporating the findings of the commission of inquiry. Bikie Laws $82,500.00 FOR WEARING COLOURS. 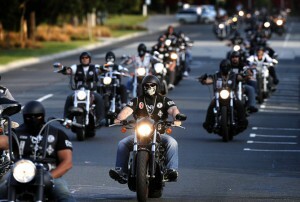 Bikie Laws amendments to the Liquor Act. The State Government has introduced changes to the Liquor Act 1992. 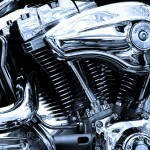 The Government has declared 26 motor cycle gangs as Declared Criminal Organisations. The bikie laws amends the Liquor Act by imposing restrictions on the ability of patrons of liquor licensed premises to wear clothing and other paraphernalia highlighting their affiliation with a criminal motor cycle gang. Under the amendments a member of a declared criminal organisation commits and offence if they are wearing a prohibited item on licensed premises. A prohibited item includes an item of clothing or jewellery or another accessory associated with a criminal organisation or other form of symbol, abbreviation or writing that indicates membership of, or an association with the criminal organisation (e.g. 1% or 1%er). New Qld Bikie laws have been introduced targeting the illegal activities of criminal gangs in Queensland. The reforms introduce new offences, increased penalties, enhanced powers for Police and the Crime and Misconduct Commission, and stricter bail laws. The things mentioned in paragraph (b) are also known as the ‘colours’ of the organisation. A declared criminal organisation is an entity declared to be a criminal organisation under the Criminal Code, section 1, definition criminal organisation, paragraph (c). A list of these organisations as at 17 October 2013 is provided below. Criminal motorcycle gang members will face mandatory jail terms of up to 25 years as part of a range of new and increased penalties to be introduced in Parliament by the Newman Government today. Under our Vicious Lawless Association Disestablishment Bill, criminal gang members convicted of certain offences will be declared ‘vicious lawless associates’ and hit with an extra 15 years mandatory jail time on top of their sentence. A further mandatory term of 10 years will apply if the offender is an office bearer of the criminal organisation. Tattoo parlours will also require licenses from next year. Current and prospective proprietors will need to be fit and proper persons and will undergo police checks before their application is approved. Three new offences, specifically targeting criminal gangs, would also be created. Promoting or recruiting for the organisation. These new offences will carry mandatory six month jail terms, with a maximum of three years in prison. An $11,000 fine (double the current penalty) and disqualified license for two years for evading police. The reforms would also strengthen Queensland’s crime fighting bodies and courts. The Crime and Misconduct Commission unprecedented powers to haul in CMG members and question them for intelligence gathering purposes. If members don’t co-operate, they face mandatory jail time, if they don’t answer questions during coercive hearings by the Crime and Misconduct Commission, they face mandatory jail time for contempt. If they refuse again, they get more jail time. Third offence – five years. Criminal motorcycle gang members also face losing their Motor Cycles which the Government proposes to crush. If a member uses his bike immediately before, during or after committing many of these offences, we will confiscate it and crush it. Without his bike. Other vehicles used by gangs will also be able to be confiscated and crushed under the reforms. In our view this is an appalling piece of legislation that unfairly discriminates against a group or class of people based solely on the their membership of a particular organisation. 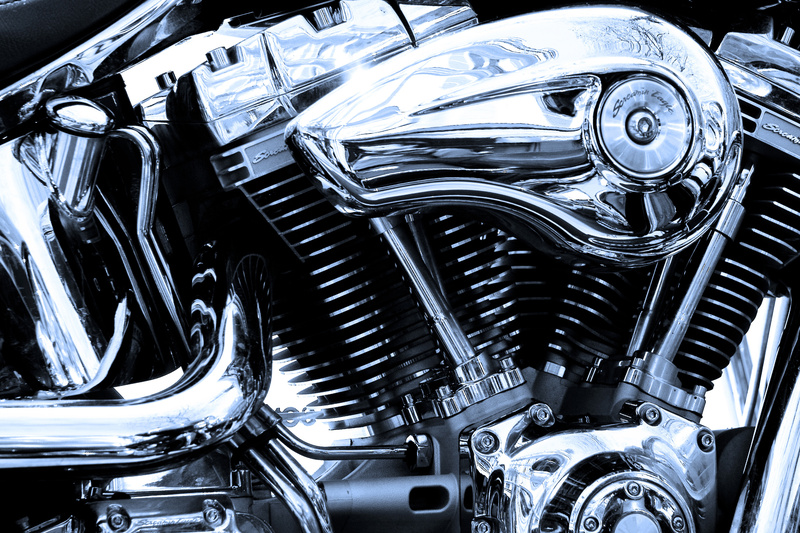 If you or someone you care about is facing Criminal Motorcycle Gang charges or offences for being associated with a Criminal Motorcycle gang, contact Gatenby Criminal Lawyers immediately. A special ultra-secure facility at Woodford Correctional Centre will house the highest risk members of criminal motorcycle gangs. Mail to be opened, searched and censored.